SpartanNash Company (NASDAQ: SPTN) today announced the promotion of Joseph McQuesten, Vice President, Center Store Merchandising, to Senior Vice President, Center Store and Fresh Merchandising, effective October 8, 2018. "As SpartanNash continues to expand its organic, local and fresh perimeter offerings to meet our customers' growing appetite for quality produce, meat, seafood, dairy, deli and all things quick and easy, we wanted to ensure our center store and fresh offerings are working together to provide our full range of customer solutions," said Larry Pierce, EVP, Merchandising and Marketing. "Joe's expertise in center store and experience with fresh merchandising make him ideally suited for this role as we continue to grow our offering." In his new role, Mr. McQuesten will lead SpartanNash's merchandising center of excellence for both center store and fresh, developing innovative retail programs for independent customers, national accounts and more than 135 corporate retail stores. Mr. McQuesten joined SpartanNash in 2011 and has served as SpartanNash's Vice President, Center Store Merchandising since 2014. In this role, he has been responsible for category management, pharmacy merchandising, promotional programs, retail pricing and shelf implementation for both the company's corporate retail stores and wholesale independent customers. Prior to this role, he served as the Director of Grocery, Dairy and Frozen Merchandising. 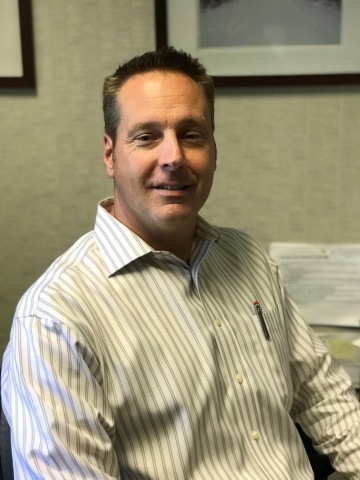 Prior to joining SpartanNash, Mr. McQuesten was a Division Vice President at Kmart where he managed center store, fresh, marketing and operations for the Super K division. He has more than 30 years of center store and merchandising experience. SpartanNash (Nasdaq: SPTN) is a Fortune 400 company whose core businesses include distributing grocery products to a diverse group of independent and chain retailers, its corporate-owned retail stores and U.S. military commissaries and exchanges; as well as premier fresh produce distribution and fresh food processing. SpartanNash serves customer locations in all 50 states and the District of Columbia, Europe, Cuba, Puerto Rico, Bahrain, Djibouti and Egypt. SpartanNash currently operates 139 supermarkets, primarily under the banners of Family Fare Supermarkets, D&W Fresh Market, VG's Grocery, Dan's Supermarket and Family Fresh Market. Through its MDV military division, SpartanNash is a leading distributor of grocery products to U.S. military commissaries.